As required by the Department of Employment regulations, Norrie Carr's Booking Confirmation, containing the terms of the booking, must be signed and returned by the client prior to the job. Excluding equity contracts, models'''' time will be charged at the hourly rate unless a half day or full day booking has been pre-arranged in writing. Overtime is charged at the agreed hourly rate and taken to the next hour up. Overtime rates apply outside 0900-1800 hours & on all bookings longer than 8 hours. The rate between 1800hrs & midnight is 150% of the normal daily rate. Overtime between midnight & 09:00hrs is to be negotiated. On all invoices, payment is required within 30 days of the date of invoice. In all cases the person booking the model will be invoiced and solely responsible for payment unless otherwise agreed at the time of booking. The Agency reserves the right to invoice the "ultimate client". Travel is charged at 50% of the hourly rate and applies to travel outside a 5-mile radius of Hyde Park Corner. Travel expenses are payable to the model on the day of the booking. Clients are responsible for models' meals on bookings. 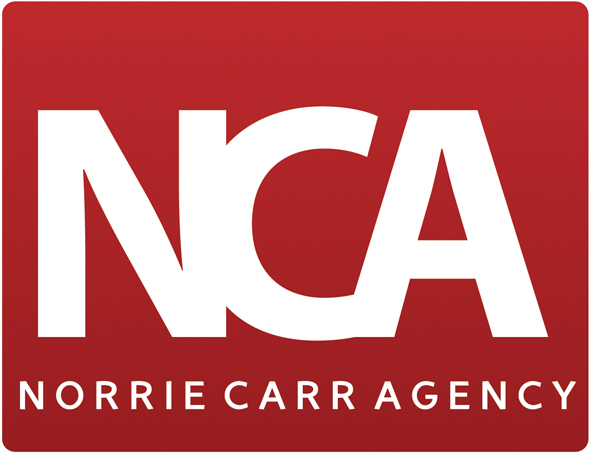 In the event that models from another agency are working on the same assignment and providing the same services as models from Norrie Carr (but at a higher rate) then Norrie Carr reserves the right to charge at the same rate. The proposed initial media, territory and period of usage of the images must be negotiated prior to the booking and will be shown on the Booking Confirmation sent by the Agency to the Client at the time of booking. It is the client's responsibility to notify the agent and negotiate additional fees (including extensions of existing agreements) for any usage, which may be required or anticipated subsequent to the time of booking. It is not permitted to use the photographs for any purpose whatsoever until all fees have been paid in full. A special fee will be negotiated when the work is for a company/product which precludes work for competing products. It is the client's responsibility to check whether conflicting work has been done. If a model advertises a product he/she is able to work for any competitor unless an exclusion fee is negotiated. The Model Release form must be signed by the model and client at the end of every booking. A photographer is not permitted to use test and experimental photographs for commercial purposes or resale unless an agreement has been made in writing with the agency prior to the photographic session. Provisional bookings will be automatically cancelled if they are not confirmed within 24 hours of the proposed booking or if a definite booking is offered and the provisional cannot be confirmed. If a booking is cancelled within three working days of the starting time the full fee will be charged, unless the same model is rebooked by the same client within 24 hours, in which case 50% of the fee is charged. If a booking is cancelled outside the three-day period but within five working days of the starting time, 50% of the fee will be charged. If a booking is cancelled outside the five-day period, 25% of the fee will be charged. For trips and long bookings; if the booking is cancelled within a period equal to the length of the booking then the full fee is charged. If a booking is cancelled because of illness or some other reason beyond the model's or Agent's control, neither the Agency nor the model shall be liable for cancellation charges. This must be made clear at the time of booking. At the first cancellation, 50% of the fee is charged unless the client fails to cancel in time to prevent the model's attendance, when the full fee is payable. At the second cancellation the full fee is charged. The agent is not responsible if the model fails to attend the booking. The client is advised to insure against any loss that might result if the model does not keep a booking because of ill health or some other reason. The photographer is not entitled to use any of the images he/she takes for any usage (apart from his/her personal portfolio) beyond that agreed. The photographer to this extent agrees to restrict use of his/her copyright and, if the model agency client is not a photographer, the client is to draw these terms and conditions to the attention of the photographer and obtain his/her agreement to them before the shoot commences. Any cause for complaint should be reported to the agency when it arises. Complaints cannot be considered in retrospect. Whilst every endeavour is made to provide a satisfactory and efficient service to clients the Agency cannot be held responsible for a model's conduct nor for any costs incurred by a model's lateness or non-appearance at an assignment. Because our fees are charged at the end of every assignment there are not normally any circumstances where refunds apply. But the agency will consider any reasonable request. Norrie Carr reserves the right to negotiate within the structure of these terms and conditions. These terms and conditions are without prejudice to any claim against the client. These terms and conditions for booking and all other matters connected with the bookings are governed by English Law and any dispute will be settled in accordance with that law by a court in England.